It’s the sensible choice! The Forsaire Counterflow is your best choice for heating up to three rooms. 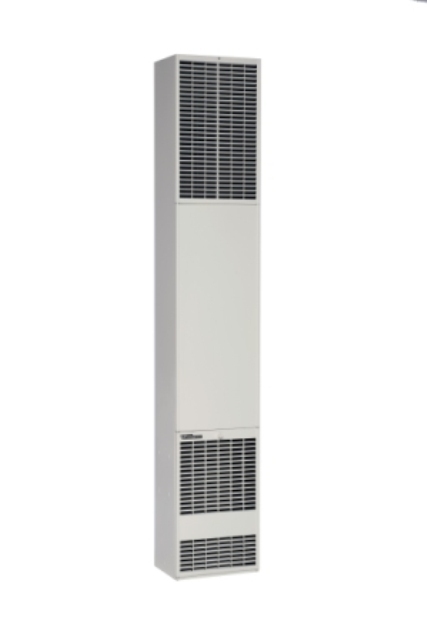 The heaters in this series are available as freestanding or recessed. Their unique and primary feature is the counterflow blower system which gathers air in the ceiling and evenly distributes it at the floor area for an equalized temperature in the room. You can choose between electronic ignition and matchless ignition to start the system. Gas models come with electrical service cords and conversion kits are also available for both gas and propane. Thermostat is included in all models. Freestanding or recessed, Forsaire furnaces are ideal forhomes, apartments, offices, schools, cabins and many other applications. Counterflow blower system circulates ceiling-to-floor warm air. Choose from electronic ignition or “Matchless”ignition (gas-fired models). Multi-room heating with optional outlet kits –heat up to three rooms. Gas models equipped with a four-foot service cord. Natural and propane gas models (conversion kit available). Resettable vent-limit safety switch (top-vent models).